In 3-quart saucepan, heat 1 1/2 cups milk, the frozen peas and carrots, chicken and soup to boiling. In small bowl, stir together Bisquick® mix and 1/3 cup milk until soft dough forms. Drop dough by 8 spoonfuls onto chicken mixture (do not drop directly into liquid). Sprinkle with paprika. 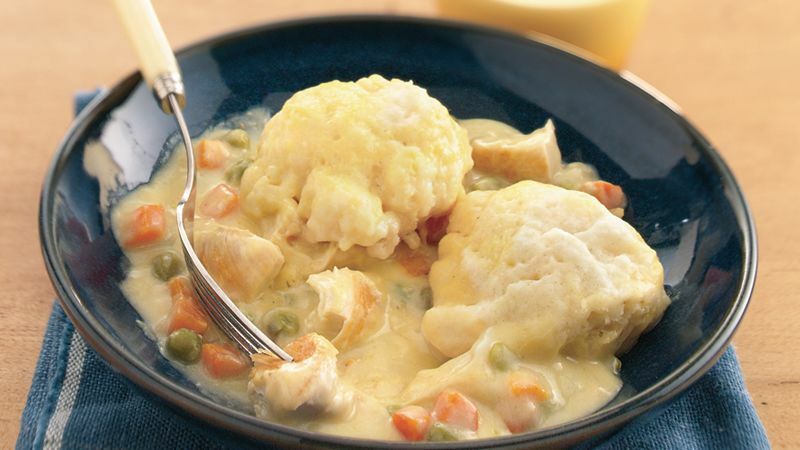 You can use 1 cup of your favorite frozen vegetable combination instead of the peas and carrots. For tender dumplings, don't overmix the dough. Mix just until moistened.